Since January 2017 Mr. Friedhelm Glöckner manages our office in Frankfurt. As head of Germany, Mr. Glöckner will focus on supporting our clients in the areas of outplacement, corporate assessment & development services. Mr. Glöckner has a long international management experience. He has worked as an executive coach for many years and was most recently a regional manager in a consulting firm specialised in outplacement. 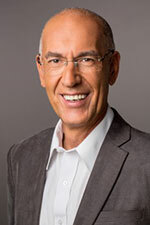 Mr. Glöckner is responsible for executive coaching and professional reorientation / newplacement. We warmly welcome our new colleague, Mr. Friedhelm Glöckner and wish him much success and satisfaction in his new role.